"After Iowa and New Hampshire, Mitt Romney's campaign is now two for two. After his performance last night, Rick Perry's campaign merchandise is now two for one," Jimmy Fallon joked Wednesday night. Mitt Romney still can't shake the perception that he's Republicans' reluctant choice for the nomination — despite his resounding win in New Hampshire and apparent victory in Iowa. Romney himself has tried to cast his success in New Hampshire, where he captured 39 percent of the vote, as a virtual mandate. But what's Jimmy Fallon's take? "The voters of New Hampshire have spoken loud and clear and said, 'Oh, well — if this is all we got!'" he joked. 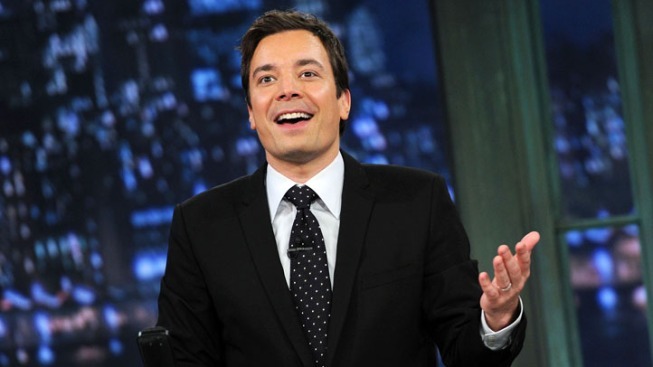 Fallon as well as Jay Leno both kidded Wednesday night about the reluctance of any of the candidates to drop out after New Hampshire — for many of them, because they've pinned their hopes on reviving their campaigns in South Carolina. "After Iowa and New Hampshire, Mitt Romney's campaign is now two for two. After his performance last night, Rick Perry's campaign merchandise is now two for one. You get a foam finger, a keychain and… I forget the third one. Oops," Fallon continued. Perry, who's still hoping for salvation in South Carolina with his evangelical faith, captured just one percent of the vote in New Hampshire. "Rick Perry was philosophical about it," Jay Leno joked on "The Tonight Show" on Wednesday. "He said last week was Iowa, yesterday was New Hampshire, tomorrow is South Carolina. He said, 'At least it's giving me a chance to learn the names of all the states.'"